is its restaurant, that recalls the best traditional Abruzzese and international cooking. 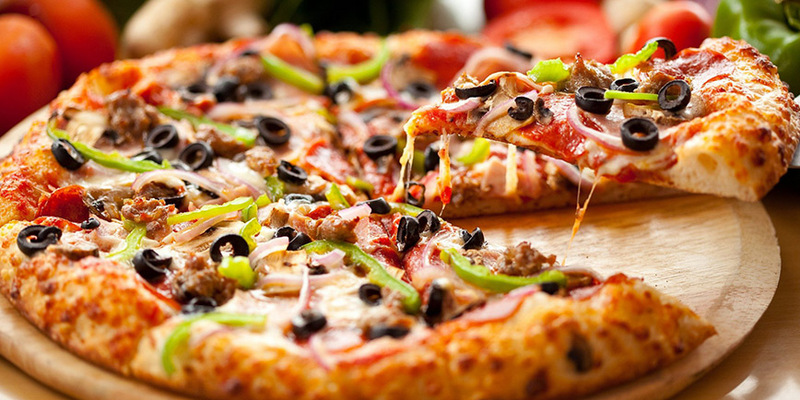 Our pizzas are made only with the best and fresh ingredients, so to satisfy all your preferences. The restaurant "à la carte", that can host up to 200 persons, daily offers tasty dishes that are made according to the best traditional recipes. It is also the perfect location for very important events: this is why, the our, thanks to the quality of its cooking, is one of the most appreciated restaurants in the province of Chieti. The Hotel Villa Danilo hosts also an excellent pizzeria, the "Tre Conche" Pizzeria, a real temple for taste and the traditional Neapolitan pizzeria: we want indeed to satisfy all our Guests' needs. The Pizzeria "Tre Conche", surrounded by the majestic nature of the Majella National Park, it is easy to be reached from Chieti, and daily proposes a lot of original menù, always really tasty: among our pizzas, for instance, one of the most appreciated is the one with a truffle cream and mushrooms, kind of a celebration of the tastes of our territory. The restaurant room, with its welcoming and familiar ambiance, is just perfect to live a evening in good company, for groups and families, and can comfortably host up to 100 persons. We are also on Facebook, Twitter, Google and TripAdvisor. Follow us on these social networks to keep in touch with us.